I first became aware of Congo Street in Kariakoo, Dar es Salaam on a shopping trip with my mother, who was looking for granite slabs for her new kitchen counter top. Luckily, on that first foray into hectic Kariakoo, I was pleasantly shielded from the chaos because I was in an air-conditioned car. I really wasn’t paying much attention—my main goal that day was to hang out with my mother—but when we passed a street with HOT clothes hanging from every storefront, my attention was aroused. I made a note of the street’s name—Congo Street—and decided I’d have to come back and check it out in greater detail some day. 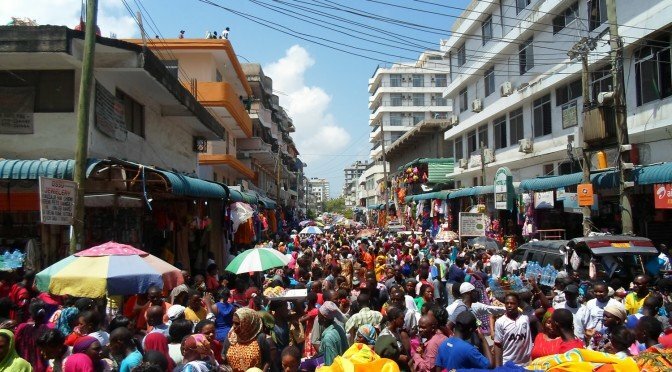 In case you’ve never heard of it, Kariakoo is a high-density commercial and residential area in downtown Dar es Salaam that contains one of the city’s largest markets, Kariakoo Market. Word has it that you can buy anything in Kariakoo “from textiles to electricity generators, from bathroom sinks to stationery, from spare parts for cars to household furniture". It’s even been said that “if what you’re looking for is not in Kariakoo, then it doesn’t [exist] in Dar es Salaam! It took me a while to make my way back to Congo Street because I am generally a little overwhelmed by Kariakoo. As a Tanzanian who is usually mistaken for a foreigner (most people think I am either Kenyan or Rwandan) due to my poor Swahili and general demeanor, being in areas like Kariakoo can be quite uncomfortable for me. Still, needing to do some emergency shopping one day, I conscripted my youngest brother (who’s lived in Dar es Salaam longer than me) to take me shopping in Kariakoo. Where else did we end up but on…Congo Street? My brother tells me (as I figured out that first day) that Congo Street is the main street in Kariakoo for apparel shopping. 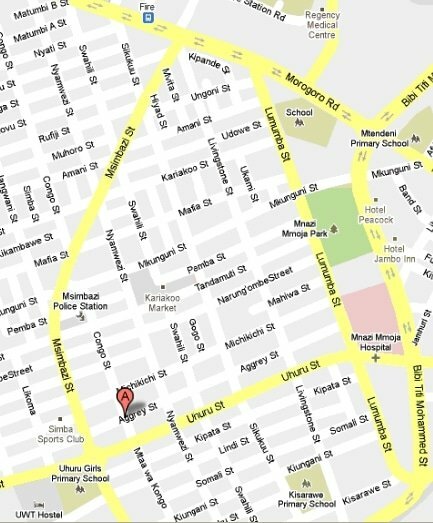 Well the truth is, it’s not just Congo Street, but also the many smaller streets that intersect Congo Street. On our shopping trip that day, we saw all kinds of apparel—women’s wear, men’s wear, shoes, handbags, jewelry—and all manner of other stuff. To tell you the truth though, after a whole afternoon of shopping, I was not very impressed. Although things were inexpensive like I expected, most of what I saw was also of very poor quality. For the most part, the clothes I saw were cheap synthetic Chinese knock-offs that weren’t even particularly beautiful. Where I did stop and try on clothes, I was unhappy that I rarely had anywhere decent to try them on (and I have shopped in places like Sunbeam and Toi Market in Nairobi, Owino Market in Kampala, etc. and not had this problem), as well as no proper mirror to see how the clothes looked on me (who cares how inexpensive clothes are if all they’ll do is sit in your closet?). Anyhow, I returned from Congo Street that day a little disappointed, having purchased less than I had intended to. Not to form a judgment from one visit, I decided I’d visit Congo Street again one day, when I could browse in a more leisurely manner, which is what I finally did a few days ago. My opinion of Congo Street (and what Kariakoo generally has to offer in terms of apparel) didn’t change for the better. Rather, my conclusions were just more strongly reinforced. In fact, I came home a bit more irritated by all the imitation beauty products that I found on sale there trying to be passed off for the real thing. That said, given the number of people who I know shop in Kariakoo (and I am going to assume that they shop in the area around Congo Street), it can’t be all bad. I guess it might be a question of knowing which particular shops to go to (like Blue Corner for me) or keeping a keen eye out for that special find (which I often find is too much energy for everyday shopping). But…all this is just my novice opinion. What do you think? 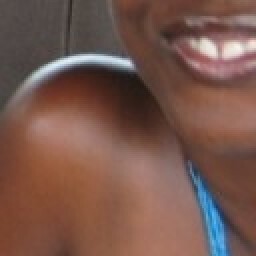 Can you tell me more about shopping on and around Kariakoo’s Congo Street? What did I miss? Nice to see a comment from you after such a long time! I believe the last time you left me a comment, you were in Ecuador. Is that where you still are? No, I don’t visit Nairobi much at all. I haven’t been in almost as long as you and miss it dearly. All in due time. Since Nairobi, I’ve spent most of my time in Kampala and Dar es Salaam, which have both been interesting to get to know better. What interesting places have you discovered in your travels outside of East Africa? Am Ugandan and the first and only time I went to K’Koo, I must have stood out for some fella kept bumping into me, trying to make a fight, and I was told to be alert as he was one of those idlers who take advantage of chaos to rob first-timers clean. On the plus side, I got to see Chinese speaking kiswahili fluently, negotiating the price of apples and pawpaws. Really showed me how multi-culture K’Koo can be. My limited swahili meant I could only purchase basic foodstuffs before jumping out of there. I see you were as traumatized with Kariakoo as I have been at times. Not speaking Swahili (well) really puts one at a disadvantage there (though that can be generalized to Dar es Salaam as a whole). Thanks for pointing out the multicultural aspect of K’koo. I do see a lot of Chinese when I am there, though I don’t think I have actually heard one speak Swahili fluently yet. I’ll keep an ear open for this. Welcome to ChickAboutTown! Thanks for your feedback. I’ve been told by others the same thing you’re telling me – that there are some high class boutiques in Kariakoo – but no one ever seems able to give me clear directions (I don’t blame them! :-)). For now, I will take your advice about looking near Dula’s Chicken. Thanks so much for this tip! Welcome to ChickAboutTown! Your comment seems to have been cut off. What were you saying about Kariakoo? Hi guys. I must this is interesting for me to read your comments about KKoo. Any idea where i can find women and men’s footwear and jeans at wholesale price in Da re salaam? I am sure the answer to your question is “in Kariakoo somewhere”. My experience of navigating Kariakoo has taught me to simply get there and then ask around. I always end up finding what I am looking for. About wholesale shoes, I’ve come across some stuff online in the past through a Google search. You might want to try that. Welcome to Chick About Town, and I am glad you enjoyed this post. No, after being there many times over the years, I am pretty sure Congo Street is for retail shopping. They just expect you to eyeball if something fits or not, or at the very worst, to try things over your own clothes to get a rough idea.